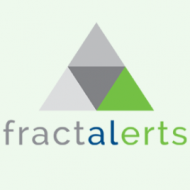 Fractalerts is a fin-tech company based in Geneva, Switzerland. They provide trading alerts and market analysis. They are part of the Fractal SA family. This week, the informal meeting of OPEC, alongside the International Energy Forum, has given rise to a possibility of another output limit. Whether or not this will happen is up for debate, however, as with any deal there are going to be winners and losers. For some countries the limit is essential. Take Algeria for example. On Sunday, the Algerian energy minister said that "[w]e will not come out of the meeting empty-handed". And it is in their interests that a decision is made, simply because both Venezuela and Algeria need a deal to prop up the price of oil. There is a real fear that prices could dip to sub $20 a barrel levels if no decision is made, and that will leave many producers pumping at below market rate, so with every barrel they will be making a loss (if they aren’t already). But even some of the big players need to do something to boost the price. Recent figures suggest that Saudi Arabia will suffer a fiscal deficit of around 13.5 percent of their GDP. And the IMF say that the Saudi’s will need an oil price close to $67 a barrel to level out the economy. In fact, Saudi Arabia is in worse shape than is commonly thought. With the drop in oil money being directly linked to lowered salaries for government workers. Some ministers will see their pay packet drop by 20 percent. So is anyone actually benefitting from these low prices? Back in March the BBC did an editorial entitled ‘Cheap oil is taking shipping routes back to the 1800s’. They were one of the first news sources to report on how plummeting oil prices were causing ships to circumnavigate the Cape of Good Hope instead of taking the shorter trip through the Suez Canal. Why? Well at up to $350,000 a ship, the Suez Canal is expensive and enough fuel to sail around the tip of Africa is simply the cheaper option. Related: Is This $24 Billion Petrochemical Megaproject A Boon For Oil? One of the reasons that this is the case is because of the type of fuel that the ships use. They run on ‘Bunker Fuel’, a thick, heavy residue that is left over once gasoline, diesel and other hydrocarbons are extracted during the refining process. Each barrel of oil (42 gallons) produces 12 gallons of diesel and 19 gallons of petrol, with additional hydrocarbons added in to the mix. The residual bunker fuel makes up for about between 6-10 gallons per barrel. If a barrel of oil is trading at around $48 a barrel, and diesel and petrol are averaging out at $2.38 and $2.25 (plus taxes) a gallon respectively, then that more than covers the cost of the barrel. That makes the price of bunker fuel almost negligible. In fact, you can pick up a metric ton of the stuff for around $260. But the abundance of oil arriving at port has led to more and more tankers to become ‘floating storage’ as land based options fill up to capacity. At the moment, with all this oil around, the tankers are coming off best. Historic low fuel prices, and long term rental agreements to boot. In fact, whichever way the OPEC meeting goes this week, the ship owners will be happy.